From hair removal to skin treatment, laser treatments have quickly gained popularity because of their ability to eliminate an issue down to the core. At Azeal Dermatology, we offer a few different laser treatments, each for a different area of concern. While these may be the ideal results that you seek, it may not be the best treatment for you or your skin type, so we recommend looking deeper into what the treatment and procedure entail before committing to this form of treatment. Below are the different laser treatments that we offer at Azeal Dermatology that we can get scheduled for you. If you have any further questions about any of the procedures below, feel free to contact our office and speak with one of our dermatologists. Shaving was eliminated as a task when waxing came a long as a popular procedure, but even that requires routine visits and an appointment in advance. If you’re looking to completely eliminate the need for routine hair removal, laser hair removal might be the answer you’ve been looking for. If you’re interested in the laser treatment that we offer for hair removal, visit our page that goes into detail about the procedure, the care afterwards and who the ideal candidates for this procedure are. What are benefits of laser hair removal treatment? There are quite a few benefits to using laser removal as your form of hair removal. One of the benefits is the precision at which a laser can remove hair. This allows for your dermatologist to go ahead and remove dark and coarse hair without affecting the surrounding skin. Another benefit is the speed at which the laser removes the hair. The primary benefit of laser hair removal is that hair remains gone for longer periods of time. While the hair that is treated will not be gone for good after the first treatment, sometimes even the first few treatments, hair doesn’t grow back nearly as quickly and will eventually stop growing altogether. How many sessions does it usually take for hair to stop growing? Since body hair does differ from person to person, there is no exact answer to this question. Depending on the thickness and consistency of the hair, treatments could require anywhere from three to seven sessions before complete hair removal, without any growth, is obtained. In order for your hair removal treatment to work as best as possible, you should limit, if not entirely stop, plucking, waxing and shaving, before your treatment. As with any hair removal, it’s a must that we get down to the root of it all in order for us to entirely remove the hair. This is the primary preparation that needs to happen, but if you have any specific skin conditions or circumstances, speak with your dermatologist ahead of time to better prepare yourself. While the name makes it a little unclear, this form of laser treatment is used to enhance and restore skin. It is popular with many dermatologist companies, as well as plenty of plastic surgeons, because this one laser eliminates the need for multiple machines. Because of the different attachments available for this laser, there are a wide range of treatments that we are able to provide. Learn more about the cynosure Palomar icon laser when you visit the page dedicated to the treatment we provide with it. 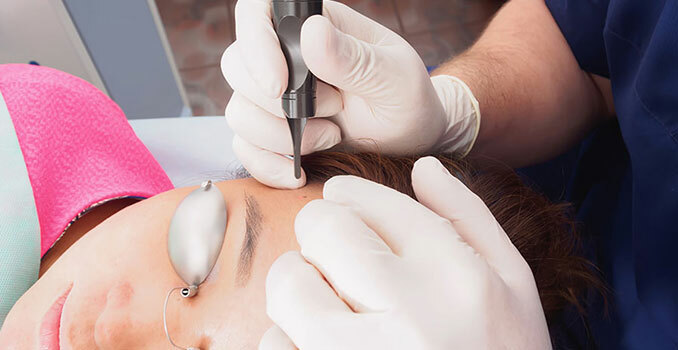 Make sure to check out both of these individual pages to see whether or not this procedure is exactly what you’re looking for, or if you are a good candidate for the laser treatment as a whole. For any further questions you may have, feel free to contact our office.